When superstar deejay David Guetta went to Saudi Arabia for a first-of-a-kind show at the beginning of the year, the world was shocked at the sound of electronic music and the sight of young men and women dancing together. It could easily have been a scene in Europe. Guetta’s show was part of the change Saudi Arabia is undergoing, part of which has opened to the world. The singer Mariah Carey visited Saudi Arabia, and even the rock group Black-eyed Peas performed there. But there are dark sides to the country that haven’t changed. The question is how much of the openness a PR campaign and how much reflects real movement. When human rights activists talk about Saudi Arabia, they are likely to note that the country holds the dubious record of third highest rate of executions in the world, behind only China and Iran. The kingdom doesn’t hesitate to impose the death penalty even for non-violent crimes, such as trafficking and using drugs, witchcraft and adultery. Some people mention that when the figure of executions comes in comparison to population size Iran takes first place and Saudi Arabia second. Saudi Arabia’s penchant for the ultimate penalty symbolizes its attitude toward human and civil rights, and yet it seems that the kingdom is not ostracized the way the regional enemy Iran is, or African countries that persecute their citizens. To silence public debate about human rights, and especially to stop the Arab Spring revolutions from creeping into Saudi Arabia, in 2011 the Saudi Interior Ministry banned all public gatherings, including non-violent demonstrations. Saudi human rights groups were shut down and almost all their members were put on trial, jailed or fled the country. In 2017 Saudi Arabia passed an anti-terrorism law that allows the authorities to ratchet up suppression of human rights activists based on a broad definition of “terrorism.” And indeed, last week, on March 13, Hathloul was tried for trial by a special court that hears terrorism cases. Reports by human rights organizations like Amnesty International and Human Rights Watch provide the larger picture. They show that the Saudi authorities are making arbitrary arrests and holding trials without due process, and also allow ongoing discrimination against women, religious minorities, gay people and migrant workers. Over the last decade, the Arab Spring has pushed King Abdullah to tighten his rule and even more so after King Salman was crowned in 2015. 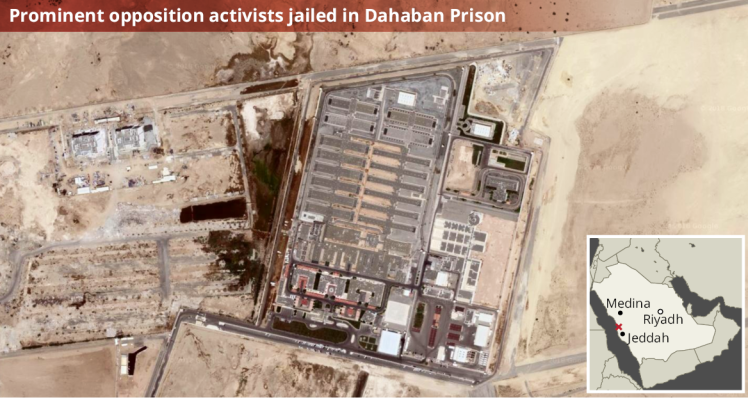 The New York Times reported from human rights activists that 2,600 known opponents of the regime, including journalists, authors and scientists, are now in Saudi detention, most of their incarcerations based on anti-terrorism laws. Now that the kingdom’s strongman is Crown Prince Mohammad bin Salman, one of the regime’s methods of pushing back on international criticism is to ease things in places where it’s convenient to do so. For example, last year movie theaters were opened for the general public and women were allowed to drive and attend sporting events alongside men. Phillip Luther, a researcher in Amnesty International specializing in the Middle East, explained that the changes in the kingdom are mainly for show. Lifting the ban on women driving was a good thing, he said, but the Saudis did it because it had symbolism abroad. The step itself didn’t require the authorities to do and the price they paid was relatively low. Luther noted that the government did not touch the “guardianship laws,” which require women to receive permission from men for almost everything they do. However, the international media covered the historic day it was declared that women could drive. The monarchy PR machine in Riyadh was able to mark off one item in a big way. At the same time, in an effort to turn the protest to its own benefit, the regime persecuted women’s rights activists who tried to take credit for the change in policy, threw some of them in jail and according to some reports torturing them. Reality in Saudi Arabia mainly stayed under the international radar – at least until Jamal Khashoggi came along. The murder of the Saudi journalist at the Saudi consulate in Istanbul put human rights in the kingdom on the agenda. President Donald Trump sided with the Saudi monarchy and was harshly criticized for it. Since the Khashoggi affair broke, 36 countries have signed a declaration condemning the kingdom for human rights violations, and at least in some cases the declaration was accompanied by action. Germany, for example, stopped selling weapons to Riyadh and businesspeople like Richard Branson froze their investments in Saudi Arabia. As to whether this is a long-term change in the attitude of the world to Saudi Arabia, or that it will be business as usual when the storm subsides, it is still too early to tell.